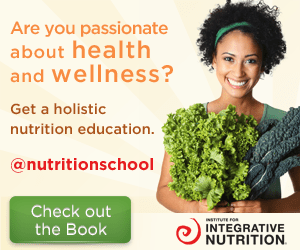 March was pretty darn awesome… I had visitors, went to an herbal conference, did some workshops, and learned a lot about my body (getting sick will do that to you). In this months bits of sunshine, I share my new favorite superfood powder (along with some other awesome superfoods), a DIY face wash that makes washing your face fun and relaxing, a drink that I just can’t get enough of, and why I think we should all be sleeping more. If you’re like me, you may have searched far and wide for a natural face wash that is gentle on the skin and actually works. Well, I have a suggestion. Grab a bottle with a spout (I re-use my plastic honey container) and fill it with half extra virgin olive oil and half castor oil. Shake the container for 2 minutes, until both oils are fully mixed, then use it as your face wash! 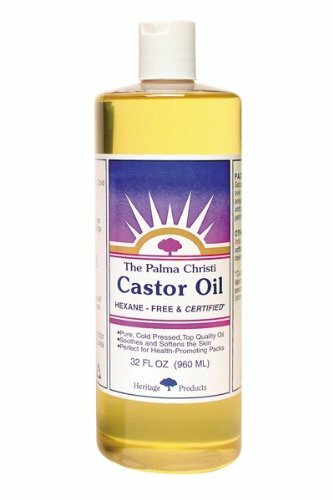 This awesome combo is the perfect balance for any skin type; olive oil is super moisturizing and nourishing, and the castor oil is drawing, pulling out impurities and getting the skin clean. Use about a quarter size amount in your hand and rub gently all over your face (yes, this takes off make-up too). Do this for about a minute. Then soak a washcloth in hot water (as hot as you can stand), ring it out somewhat, and place it over your entire face to steam for about 1 minute – it is sooo relaxing and the perfect way to end the night. After a minute (feel free to enjoy some deep breathing while you are steaming), use the washcloth to wipe your face gently of any excess oil, leaving behind enough to keep your skin feeling moisturized. 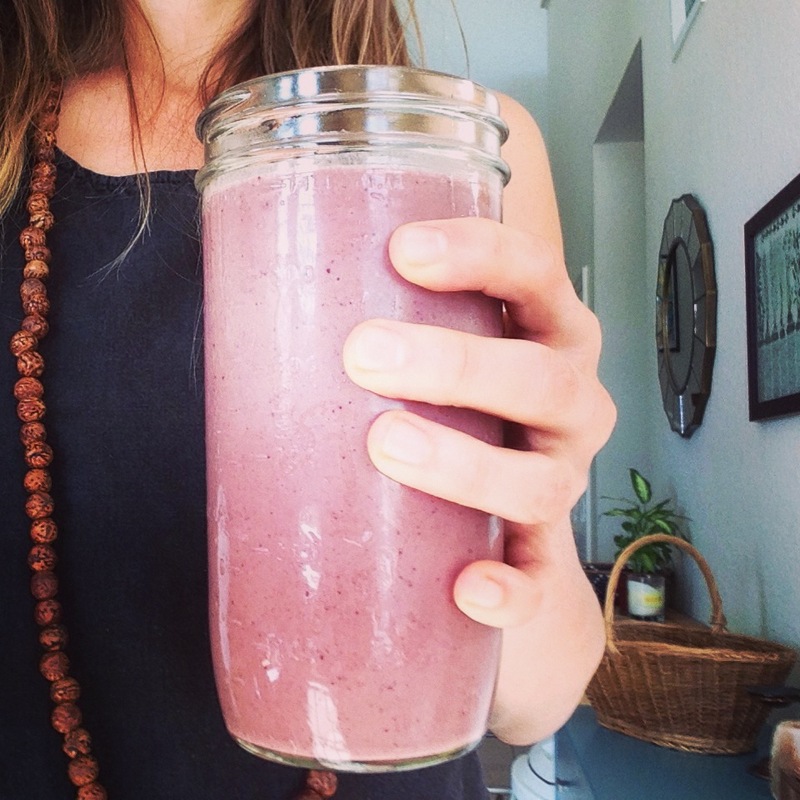 I first heard about this awesome superfood powder on Health Crush, and because Jenny is someone who inspires me on a regular basis through her Instagram and blog, I knew I had to try it. 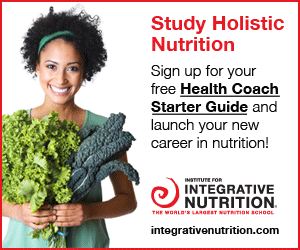 I had never heard of it before and I LOVED all of the grounding/energizing ingredients that it contained… The best part? It was just as good as I hoped it would be (and adds an awesome boost to my smoothies)! 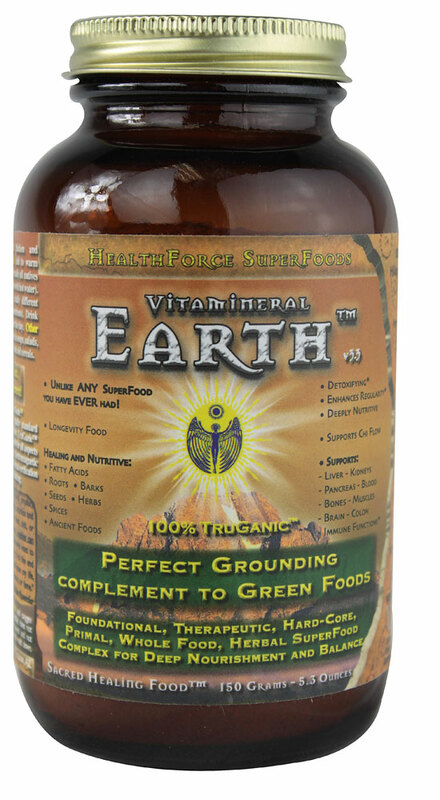 Vitamineral Earth is noted as a “whole food herbal superfood complex for deep nourishment and balance, containing roots, barks, spices, and other healing botanicals taken straight from the Earth for a healing, grounding, regenerative food.” Doesn’t get much better then that! *Place all ingredients in a blender and blend until smooth. Raw cacao is loaded with antioxidants and contains the chemical PEA (phenylethylamine), which is the same chemical our bodies produce when we fall in love!! Maca is a root that is referred to as an adaptogenic – meaning that it helps the body adapt to stress and more easily rebound from feelings of anxiety. It is also a natural energizer without the crash that coffee and other energy drinks leave us with. Chia seeds are loaded with antioxidants and omega-3’s (those healthy oils that support our brain, fight inflammation in the body, lower cholesterol and support the immune system. These little seeds also make an awesome chia seed pudding! This has quickly become one of my favorite beverages to keep in my fridge. GT’s Kombucha is a delicious bubbly drink, and it is also a raw food (loaded with medicinal and healing qualities)! Kombucha is a fermented drink, which means that it contains all of the healthy bacteria that helps keep our digestive system strong and our immune system healthy. 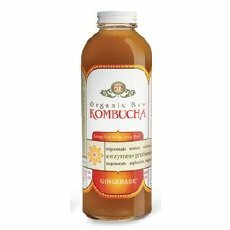 GT’s Kombucha has a number of different flavors that will make you want to dance, but for me, Gingerade is where it’s at! I love the warming and healing qualities that ginger has on the body, and when you add that gingery flavor into a bubbly drink, its magic! And just in case you needed another reason to go out and buy some kombucha, you can find uplifting “words of enlightenment” on the side of every bottle. The gingerade in my fridge reads “The universe is always talking to you and the true miracles seem to come when you take the time to listen.” I just can’t get enough! Sure, there are other brands, but GT’s Kombucha is raw and doesnt contain any added sugars or sweeteners, just 100% organic raw kombucha, freshly pressed juice, and 100% pure love (thats how their ingredient list reads). What’s not to love!? Now, I realize that this isn’t necessarily a product, but this month I was reminded of how important it is to take care of myself and get the sleep that I need. March was full of visitors and trips, late nights and early mornings, and maybe (just maybe) a little more red wine then usual. All in all, I wasn’t getting the sleep that I needed to stay healthy and energized, and I got sick. It took me 4 days to recover, and during those days I turned to herbs, foods and teas that are known to boost the immune system and ward off illness, but I know that for me, the biggest factor in healing was the enormous amount of rest that I got. I was sleeping about 12 hours every night and napping throughout the day. I was run down and felt totally depleted, and sleeping was the saving grace that helped me recover pretty quickly and prevent my sickness from getting worse. I am a big advocate for getting enough sleep on a regular basis because I believe it is a HUGE component in keeping us healthy. While we sleep, our body heals and restores itself physically and emotionally, and when we are constantly falling short on the time we spend in bed, we are wearing down our immune system, our ability to think clearly, our energy levels, and our overall health. If you want to learn more about why sleep is so important, check out this blog post I wrote about a year ago. If you just want to know how much sleep to get, try planning on getting about 8 hours every night (that is what the general recommendation is). If that feels totally crazy to you, try getting an extra hour – go to bed an hour earlier and see how you feel! Getting enough sleep will help keep you from getting sick and will drastically improve your energy levels (among many other things). Have you found a product you love? You know I want to hear about it… Please share in the comments below! Tags: bits of sunshine, cacao, face wash, immune, immunity, kombucha, maca, oil, oil face wash, rest, self care, self love, sleep, smoothie, superfood chia, vitamineral earth. Bookmark the permalink.